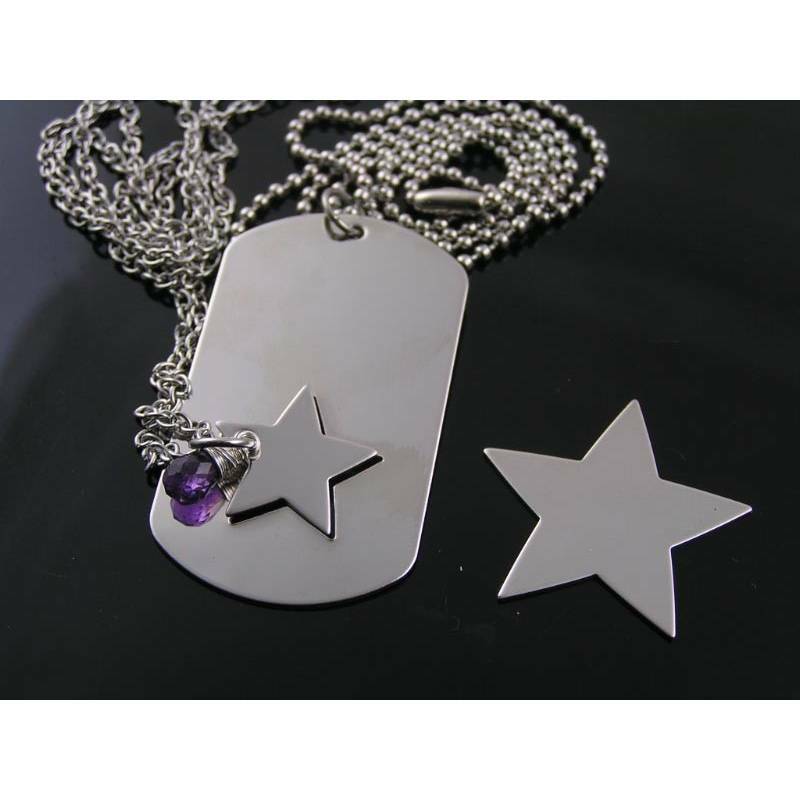 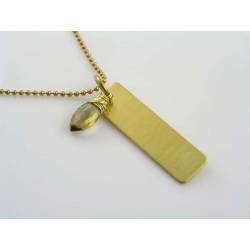 One necklace suspends a dog tag pendant with a cut-out star shape. 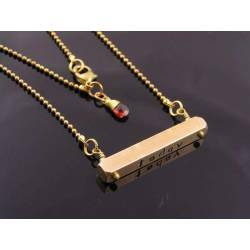 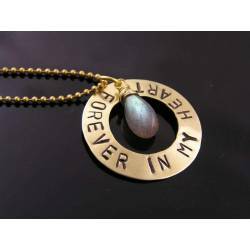 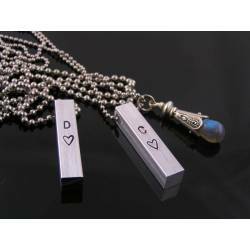 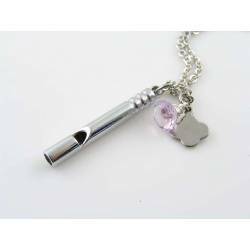 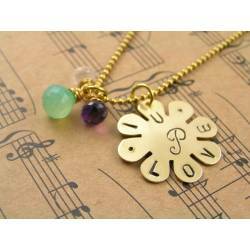 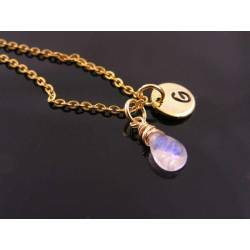 The pendant is attached to a 2mm ball chain, measuring 20 inches in length. 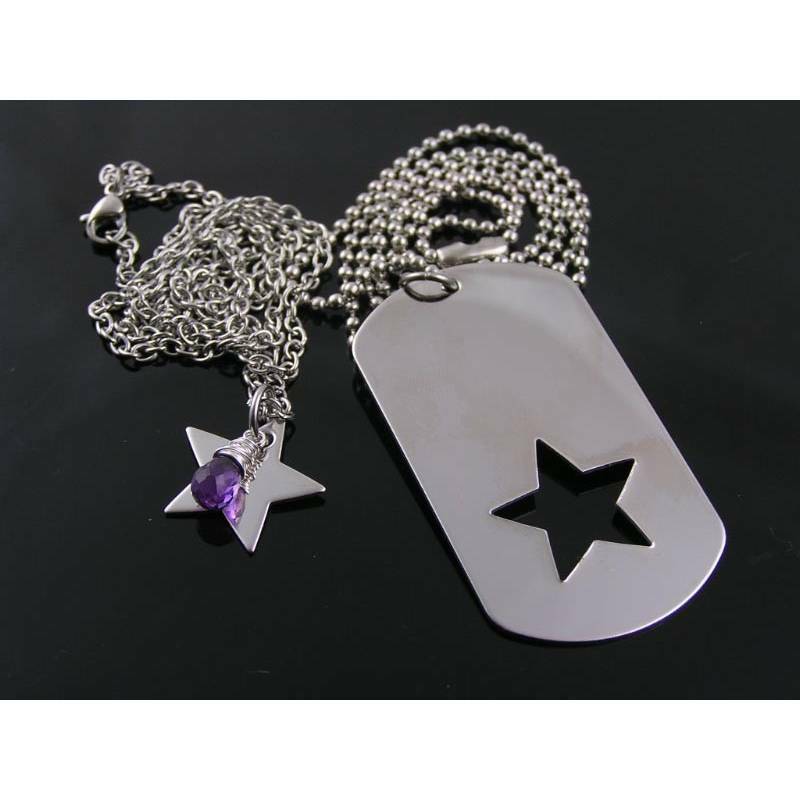 The other necklace has a star pendant attached. I have two star sizes available (photo #3). 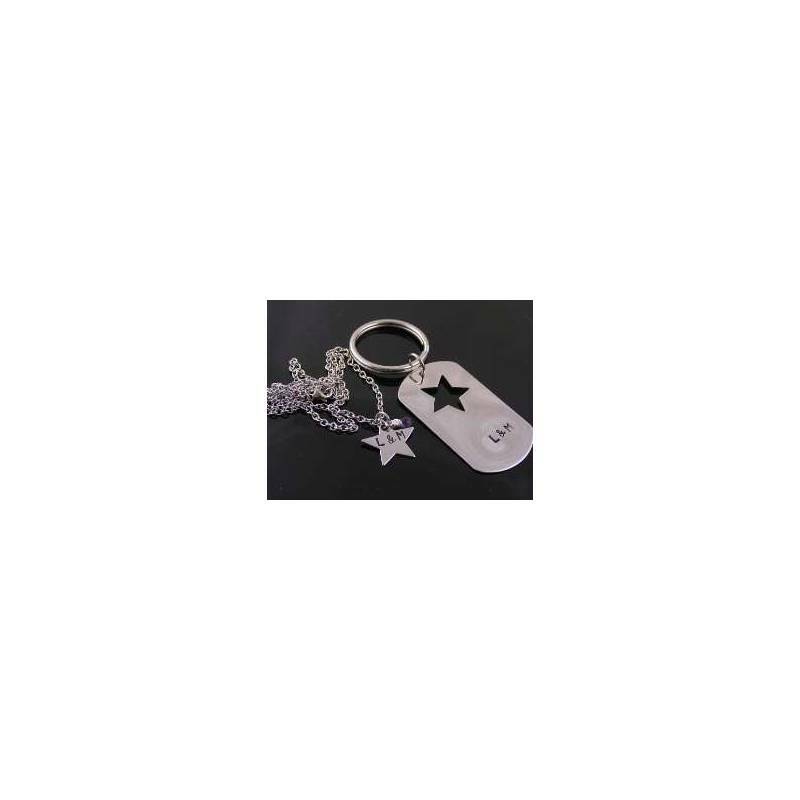 The smaller one fits exactly into the dog tag, the other star is larger. 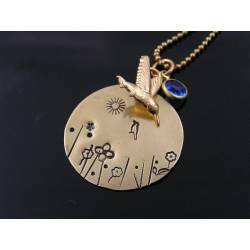 The necklace comes with the matching star as seen in the first 2 photos. If you prefer the larger star, please let me know. 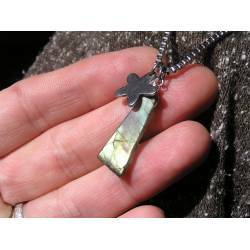 The pendant is attached to a cable chain, measuring 50cm in length, closing with a lobster claw clasp. 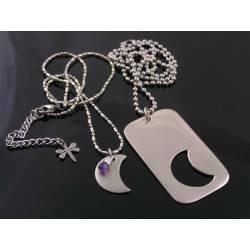 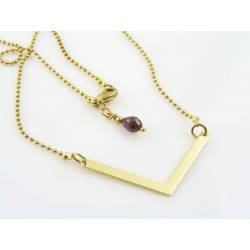 The star necklace also has a wire wrapped teardrop shaped amethyst attached. 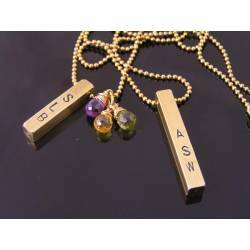 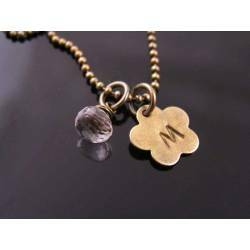 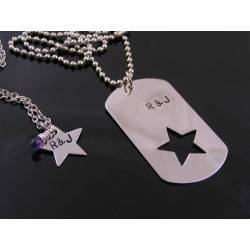 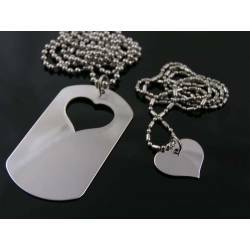 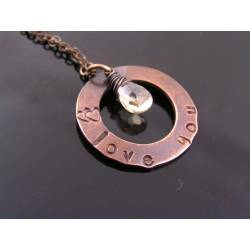 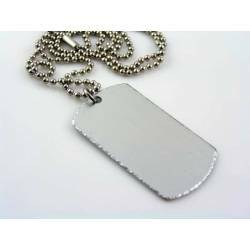 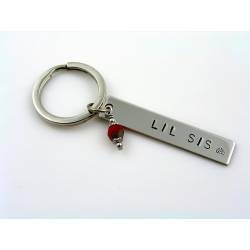 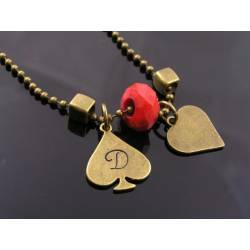 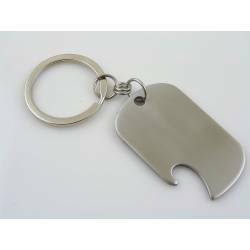 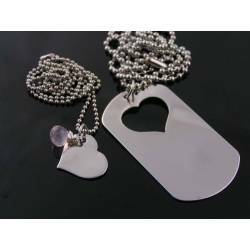 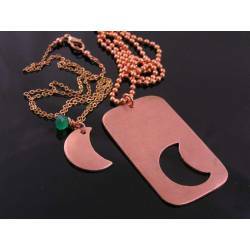 This listing comes including custom stamped initials on star and dog tag. 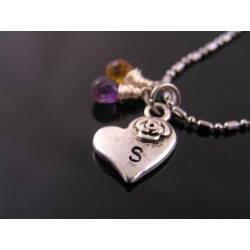 Please list the initials in the custom fields at the bottom of this page, then save and add to cart. 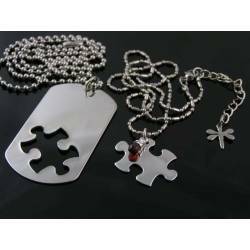 For other customisation, please contact me BEFORE purchase to discuss options and price. 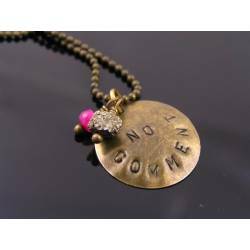 PLEASE ALSO NOTE: Custom orders are not returnable, but you will receive a photo of your finished order. 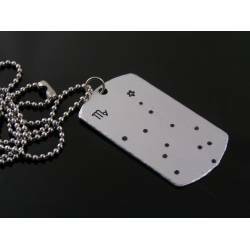 Photo #4 shows a variety with the dog tag used as key ring instead of necklace. 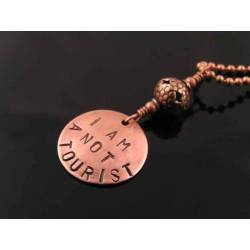 This is also available. 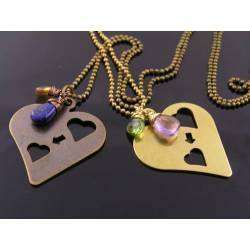 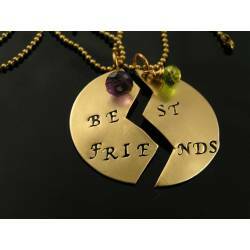 Pendants are cut out of one piece of metal, edges might still be a bit sharp so that they fit closely.